Here are some fruity shots of Stonehenge and a Celtic cross that show a real zest for archaeology! 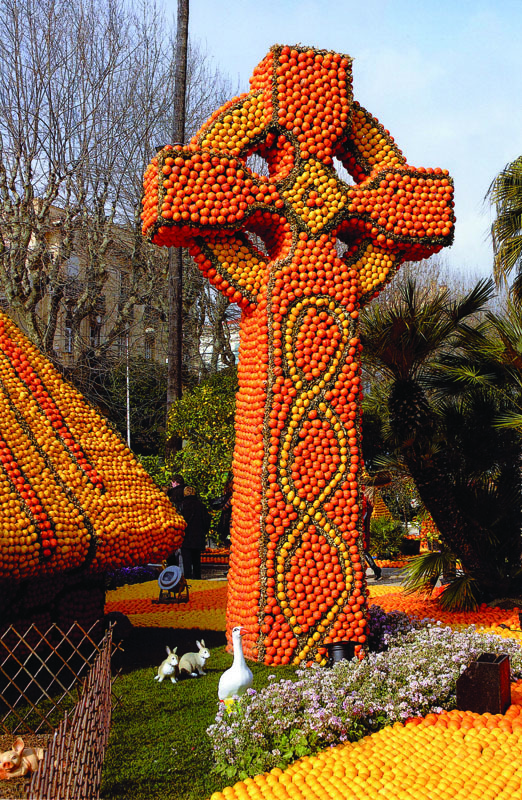 These pictures were taken in February this year at the Menton Lemon Festival, in Menton, France. The town gardens were filled with amazing life-sized models of historic importance, including: a Roman garden; the Trojan horse; a Viking longship; a full-sized mammoth, and many more. 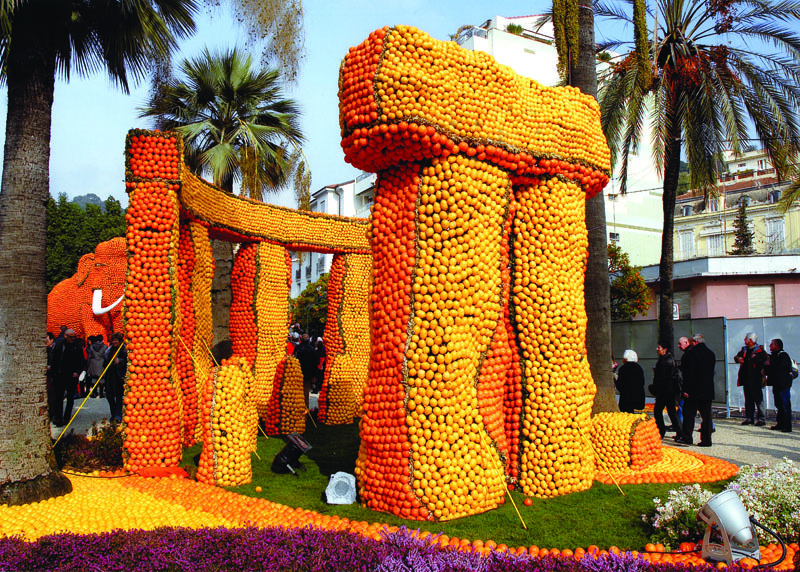 They were all made of oranges and lemons, with each fruit being individually attached to a sub-frame with a rubber band. Sadly, there was no model of St Clement Danes church. Sent in by John and Olive Cutting from Cambridgeshire, featured in Issue 255 of Current Archaeology.